I wonder, what do you think looking at this picture? 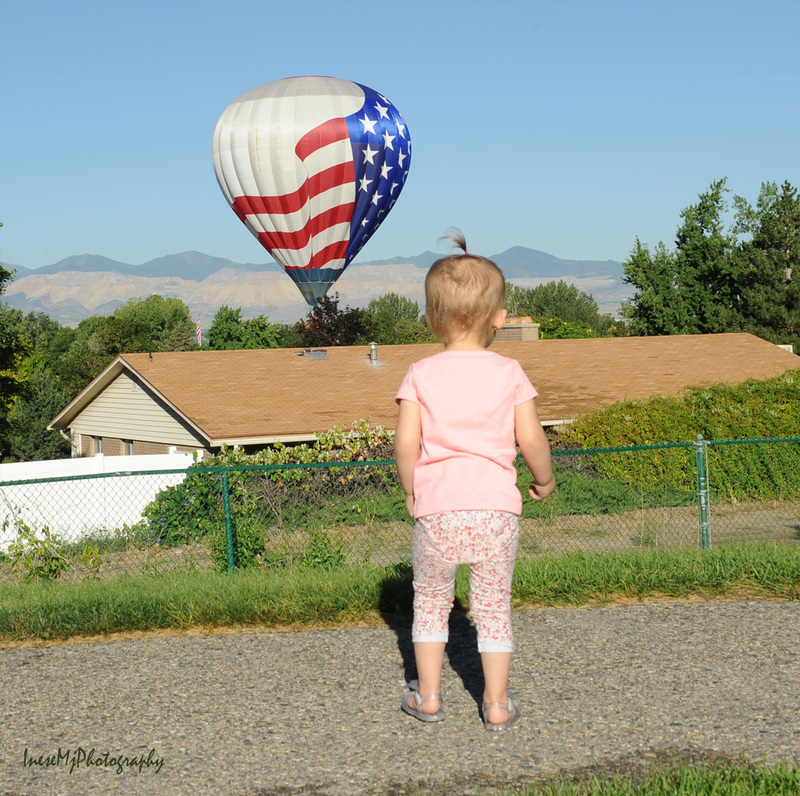 Probably “Sweet little girl is watching a hot air balloon fly by”? Wrong. The sweet little girl is actually screening the ground for roly polies. She is very good on that. When we are young, we want to know more about the world. We look in the heart of things and people seeking to recognize what they actually are; we thirst for detail. Eventually, we learn that things and people are seldom what they seem – still, we wonder. We notice and acknowledge big things, but it is the little things that hold our attention and feed our curiosity. Cognition and learning depend on our perception of little things. Everybody has their own roly polies. Hope they are not worthless, mundane and selfish. Hope they are striking and very alive. ← I want to see a Gruffalo! This is great…as a small child, my nephew was known as the Roly Poly hunter. When he was a kid, as he would walk into the house with a handful of them which answered the question of “what is he doing out there?! ?” Yes, things in photos often are not what they seem. Lovely post, Inese — enjoyed your expression and openness, your light on life–and the musical clip was an added extra. Thank you! 🙂 I have noticed that little children rather focus on small objects. They might admire a huge doll, but actually play with the smallest ones. May be it is because children learn the most when they use their fingers. There is a strong connection between fingertips and brain. Yes, I tink you’re right. The larger toys seem to just sit in corners like ornaments. I remember that happening with my six very well. I agree about the fingertips and brain connection, too. I don’t want to scare you, but you might already have some 🙂 They are very quiet and live in the dark damp places. So very, very, very true! Your little family member is precious and curious. She has a mind of her own, too. I like when children study anything and try to make sense of it. My “grandies” are what I call my grandkids, Inese. Is this Roly Poly seeker a grandchild? I like the setting with your pointing out she isn’t even looking at the hot air balloon, Inese. True, the balloons didn’t impress her at all. She is my youngest granddaughter, a chatty and curious little girl. Hey, you’re right! There is a little girl and a balloon in this photograph! I was momentarily distracted by the gravel chippings and wondering whether they were loose or if they were embedded in some sort of substrate. Kids do have an amazing way of putting things in perspective. Lovely blog! That little pony tail on the top of her head looks llike it could be an antenna. Cute picture. I loved the photos too. Mega hugs! Cute! But what is a roly poly? Have a wonderful weekend too Inese. I had to look up roly polies to be sure that they were what we call “woodlice” in the UK. My son was obsessed with creepy crawlies of all kinds when he was little. He started up a club at school called the “bug club”! If you touch one, its reflex action is to roll up into a tight ball, hence the two nicknames you mention. So you’re not in any great danger of having it crawl at high speed up your arm like a spider would. Have a go. Touch a roly poly and watch it roll!